Simply provide your business website URL. We will examine the first 25 pages of your site and send you an email summarizing any technical errors. A sample image of what you can expect is shown here. A recent study of 1,020 sites developed by the top designers in 131 different cities show an average health score of 73.5% for the sites they developed. You can learn more about the National Website Health Study and see what issues are most frequently identified on professionally designed sites. 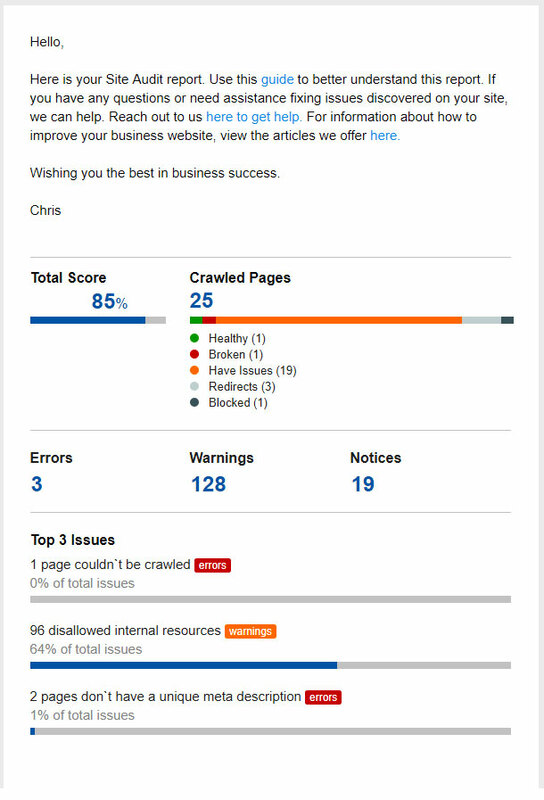 In our experience, we have seen sites with scores as low as 59% and as high as 89% during our first crawl and analysis.